At Big Bend, we stayed at Chisos Mountain Logde in the park. We arrived late afternoon and did some hiking before the sun went down. 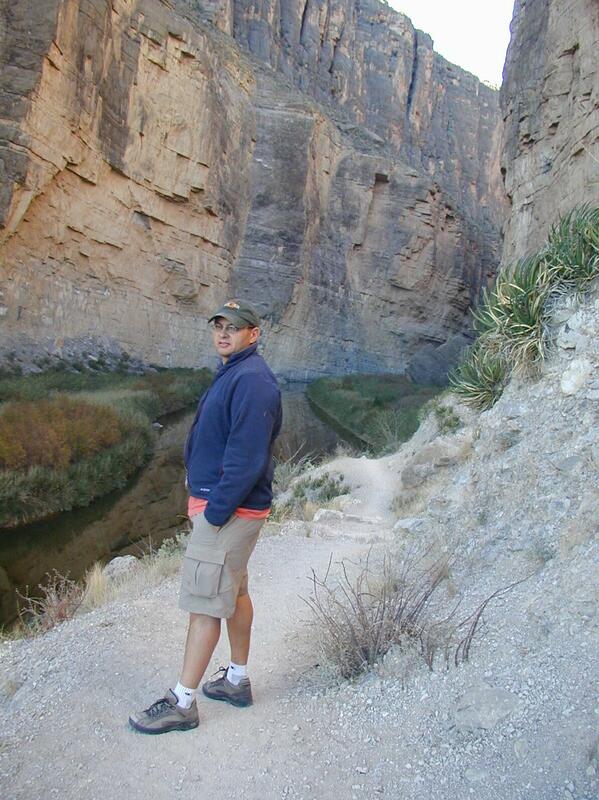 We got up early the next morning to take in some of the sights of the Park and headed to Santa Elena Canyon. The left side of the canyon is Mexico, The right side is the United States or if you are from Texas the right side is Texas. The water you see is the Rio Grande. After Santa Elena Canyon we headed to the southeast part of the park to have a look at Boquillas Canyon. We did hike up into it but snapped a few picture looking into Mexico. Not long after leaving Big Bend National Park , we passed two cyclists, Jacob and Lee, biking their way to Belize in order to go visit a forbidden island in the Caribbean. Terry talked to them for a while since he’s thinking of biking across the northern US. 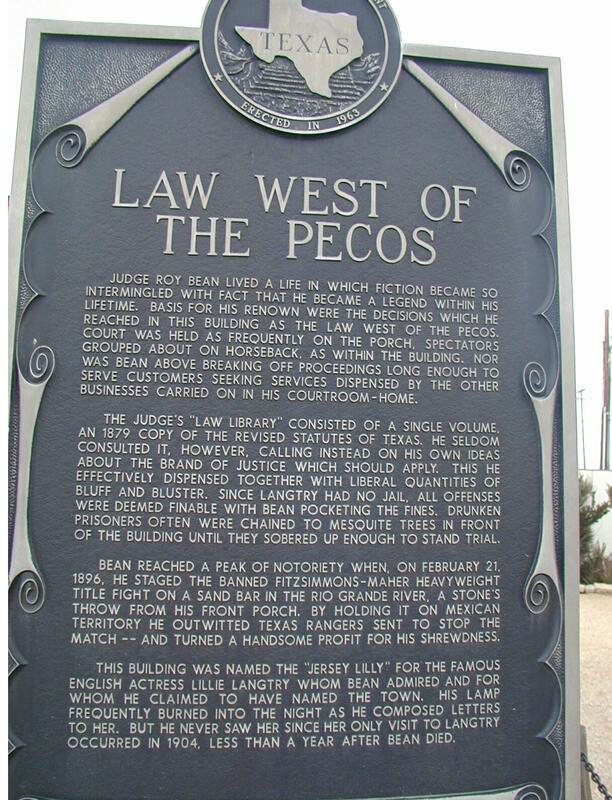 It was getting late in the afternoon so we got back on the road in order to make it to the Judge Roy Bean visitor center in Langtry,Texas before it closed at 5:00. As we drove toward the Center we passed another cyclist. We parked and talked to him. Luke is cycling the perimeter of the US counterclockwise (making it to the four corners). We went through the Center which included Judge Roy Bean’s bar-slash-courthouse-slash-notary public-slash-billiard hall. When we went back outside Luke was still in the parking lot so we talked to him some more. 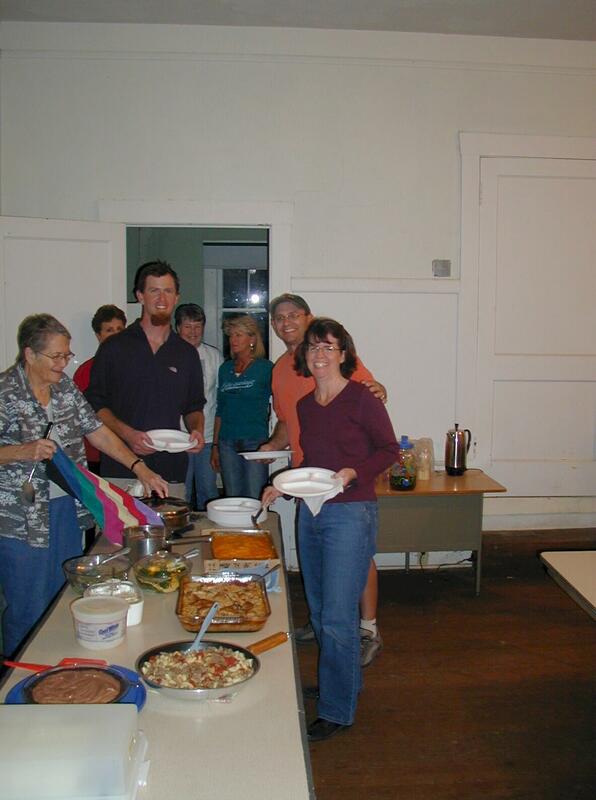 He had information that there was free camping at the Langtry community center. We walked over to it with him to check it out. There we met Pete Billings (a retired train driver) and his daughter Linda who were bringing some food in for the Town Council meeting (held the first Thursday of the month). They told us there’d be plenty food and invited us to stay for dinner. We decided to take them up on their hospitality and to keep Luke company so we quickly set up our tent. Linda and her Pete getting ready for the monthly community meeting. Luke, ready to camp after a day of riding. Terry and Linda clean up. 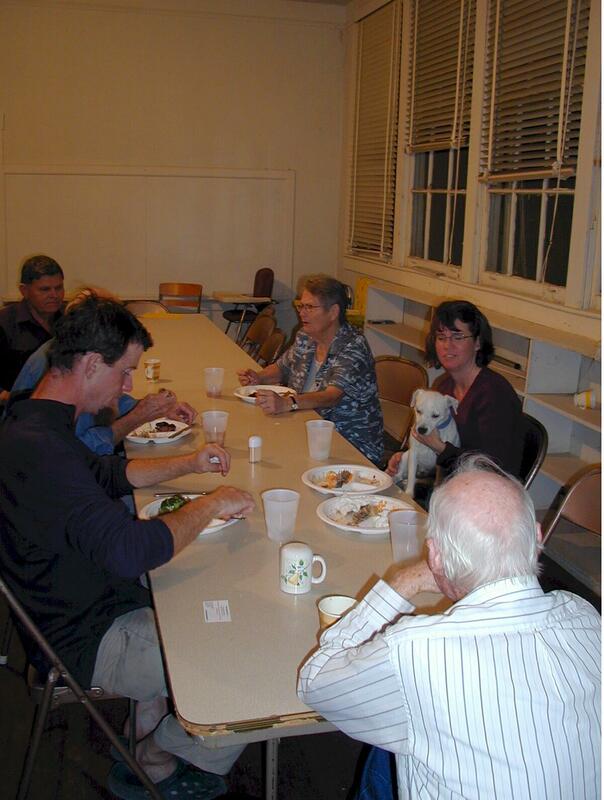 Tuffy, the little white dog that Heather is holding also attend the monthly meeting. He was taking a break from his regular duties, including keeping the town free of ring-tail bobcats. We heard that while on duty one day, Tuffy grabbed the tail of a bobcat that was living under the post office and a tug of war ensued. We don't know who won but we didn't see any bobcats. 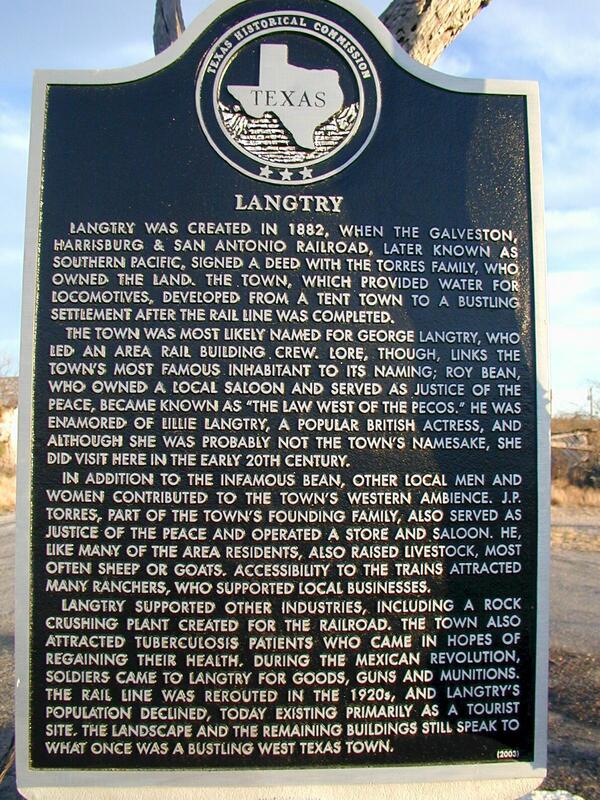 Langtry has a population of about 20. Most everyone attended the meeting. They asked us all questions about our travels and shared some stories about growing up and living in Langtry. The food was plentiful and delicious and included two desserts! It was like being adopted for the night…and left us feeling very warm and welcome. Back out in the community center yard we set up the laptop and watched some Family Guy for a bit before turning in. At 4:30 am the alarms went off. They had no snooze buttones. The alarm clock's with no off button. Terry biked with Luke the next morning to get his 15 miles in for the day and then we bid Luke farewell.